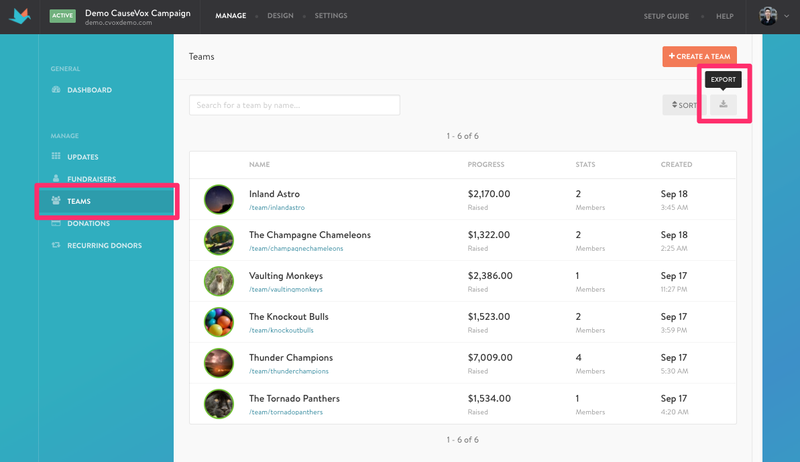 Step 1: In your Manage tab, click on “Teams” along the left hand menu bar. Step 2: Click the download icon on the top right of the page. Click here to see a sample team export.